IT'S ALIVE! 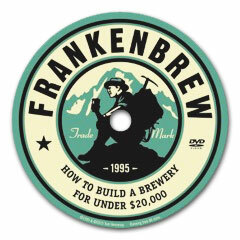 The original classic video from 1995, FrankenBrew, has been brought back to life on DVD. 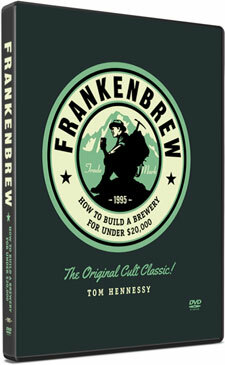 Brewer Tom Hennessy teaches you how to build a commercial brewery on a tight budget. He shows you the affordable alternatives to expensive turn-key brewing systems, and demonstrates how to get your commercial brewery up and running with minimal investment. 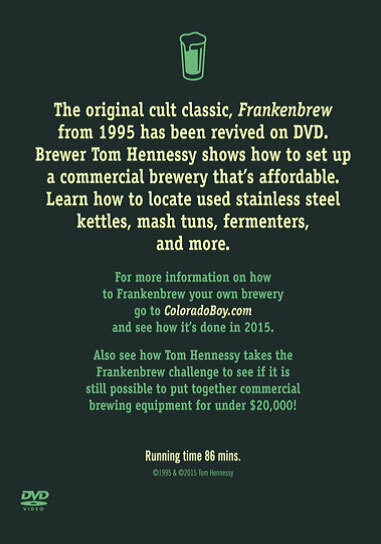 Learn how to find and customize used stainless steel kettles, mash tuns, fermentors, and more. See how commercial scale brewing equipment works and take his knowledge to build your own brewery.